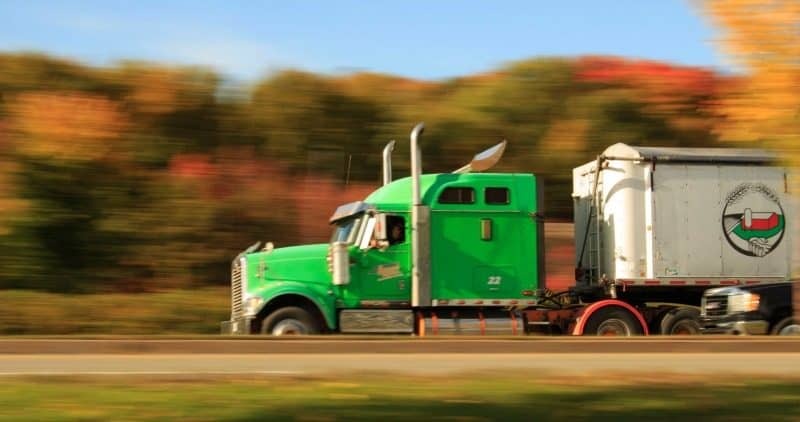 Trucking Lease Operator Programs - Run, Don't Walk Away! 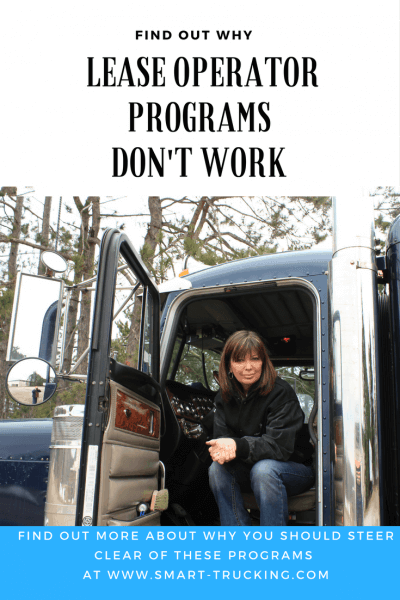 If you are a trucking lease operator, or if you are thinking about becoming a lease operator, there’s a few things which I’d like to point out to you, why you ought to be ‘leery’ of these programs. I have NEVER been a fan of lease operator programs. They have been around in the trucking industry in some form, for ever. I have always hated lease operator programs for good reason! I’m of the belief that these programs are set up for failure. No matter how hard the lease operator works or tries or does everything the right way, these programs often don’t work. What is a Trucking Lease Operator? A trucking lease operator is really a company driver who pays all related costs for the leased truck, including payments, fuel, repairs, maintenance, fuel tax etc. The trucking company owns and holds the title for the truck, until the L.Operator finishes paying for the truck. There is often no down payment required to get on board with one of these lease programs. Pretty attractive. If there is a down payment required, the amount is minimal, in order to attract truck drivers to the lease program. A lease operator sounds much like an owner operator. However it has all of the expenses concerned with being an owner operator, yet it does not have the nice perks of being an owner operator. A L.O is somewhat of a slave for the trucking company… the driver will do what the company wants, and when they want it. The trucking company runs the show! Trucking companies are focused on profit. After all, that’s the name of the game in the trucking industry. Trucking companies make a hefty profit from these programs. They have little or nothing to loose as they have full control of the lease operator/driver. If you’re looking for the ‘secrets of success for being a Lease Operator, look no further. There are none. Truckers are attracted by ‘easy’ and ‘fast’ truck ownership. No money down? Sign on the dotted line and you’re automatically a truck owner! Pretty attractive for the truck driver who doesn’t have the money to put down on a truck with a finance company. They are also committed and under contract for the carrier. If things go wrong, they are NOT free to pack their bags and leave! They are stuck in a bad relationship with the trucking company. If you want to own your own rig, do it the right way. Save what it takes to make a down payment on a vehicle, go to a reputable finance company/institution and then seek out an honest carrier to work with. That way, you can maintain control of the vehicle and should things not turn out well with that carrier, you have the freedom to seek out another carrier. Be in control of your owner operator business. Don’t give the carrier the control over your business. Be wary of the contractual agreements the company wants you to sign… it may not be worth the paper it’s written on!! I refer to these plans as the NEVER NEVER PLANS as the truck driver NEVER NEVER owns the truck! Don’t be sucked into a black hole by one of these plans! They are often a recipe for trouble. Lease operator plans are designed to benefit the trucking company. They are NOT based on good will to help out the average truck driver and help your fulfill your dreams of becoming an owner operator. Do Today’s Truck Drivers Deserve Respect?